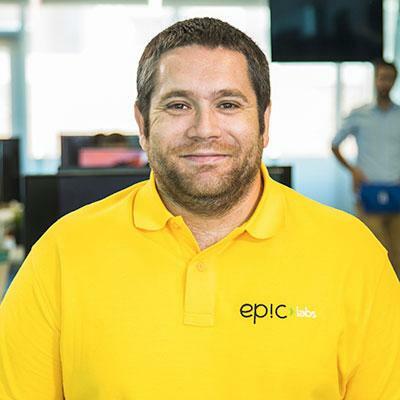 Jesús is one of the founders and Media CTO of Epic Labs, a software innovation centre focused on helping media companies to innovate, and to create new revenue streams and engagement models. Passionate about Video/Audio streaming protocols and algorithms, he is currently leading the engineering team behind LightFlow product, in which he enjoyes designing and implementing distributed architectures that solve complex problems in the most efficient way: low latency streaming, video cloud transcoding, repackaging, content adaptation, and delivery at scale. Jesús is highly interested in Mathematics and Digital Signal Processing applied to the design and construction of video codecs and encoding pipelines, focused both in compression efficiency and quality optimisation. Jesús is an active open-source contributor. Beside other things he is the developer lead for dash.js project, which allows him to be in continuous contact with his other passions: open source & video client side technologies.